When I designed my Let It Snow Collection of holiday printables (which are still 50% OFF right now), I made some sweet little snowman treats for my photo shoot table. Quite a few emails have come in asking for a tutorial, so I thought I'd do just that today. As pictured: Fudge icing, large marshmallows, Karo syrup (light colored), Rolos, mini Oreos, some black and orange confetti sprinkles (I have some left over from Halloween), and white sparkling sugar. You'll need some wood skewers and a clean paintbrush, and I also added a few things at the end of the project -- toothpicks and mini marshmallows. Step 1: Take your large marshmallow and with a clean paintbrush, brush some Karo syrup all around the side of the marshmallow. 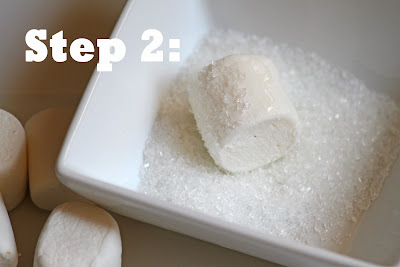 Step 2: Now roll your marshmallow in the white sparkling sugar and set aside. Repeat these 2 steps for all of your marshmallows -- you'll need 3 marshmallows per snowman. Step 3: Now it's time to add on the cutie pie face. 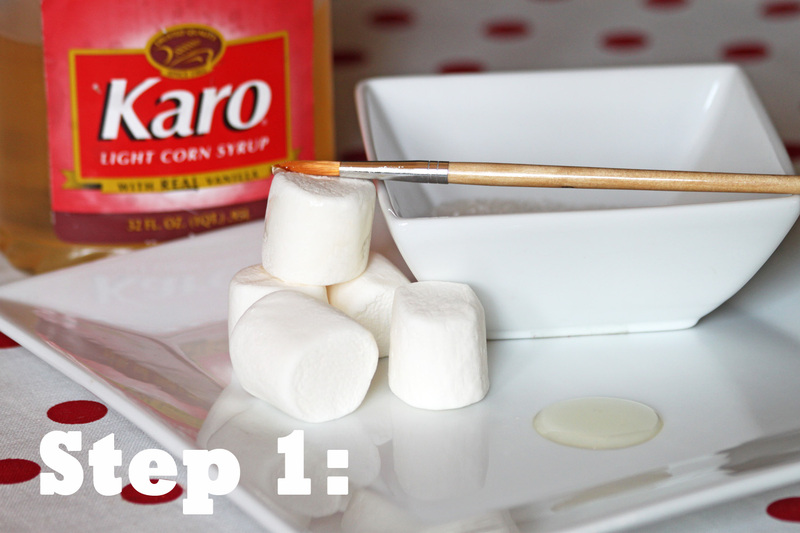 Using your paint brush, dot the back of your confetti sprinkles with a touch of Karo syrup and then apply to your sugared marshmallow. 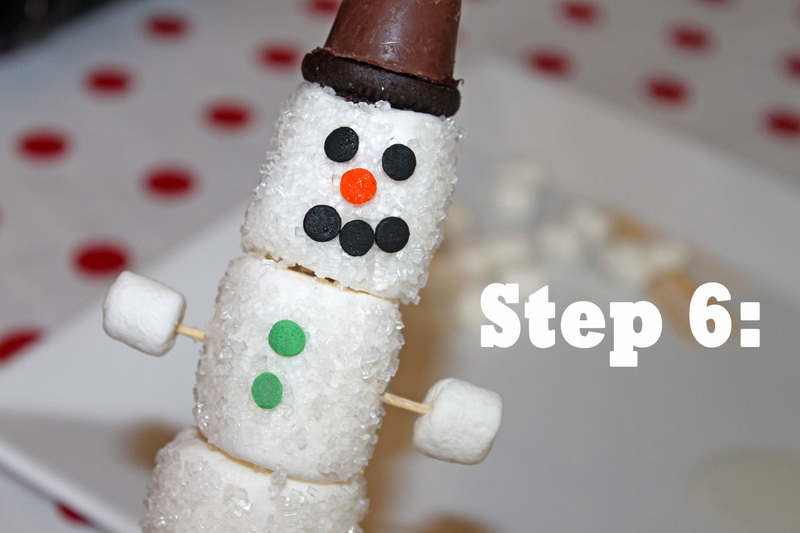 Step 4: Next, skewer 3 marshmallows together on your wood skewer to make a snowman. Step 5: Now for the hat. Pry apart your mini Oreo cookie and use the side without the creme attached. 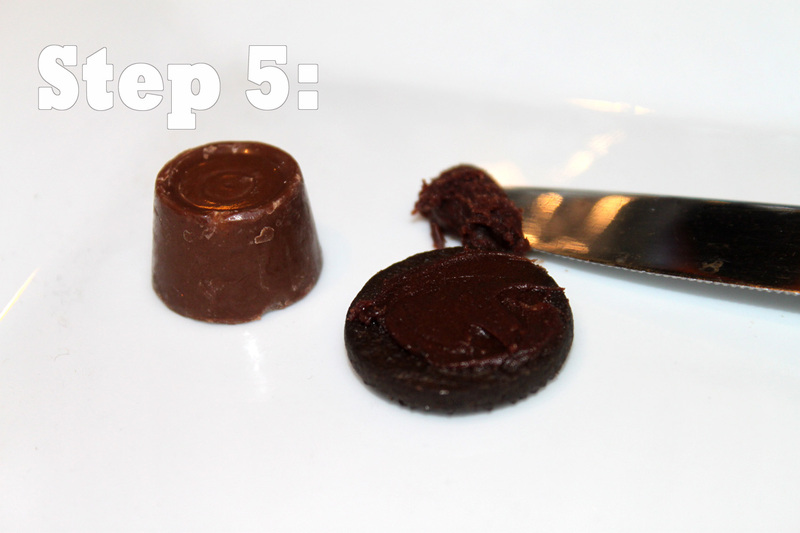 With a butter knife, apply a small amount of fudge icing to your Oreo, unwrap a Rolo candy and press it onto your iced cookie. Step 6: Making the arms. 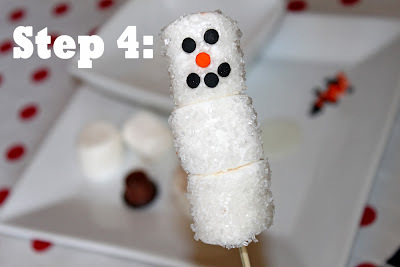 Now take a toothpick and press it through the side of your middle marshmallow on your snowman. Add 2 mini marshmallows at the ends of your toothpick for hands. And that's all! Quick, cute snowman treats! 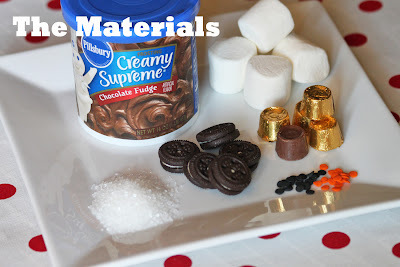 Great for a fun after school project or even a class holiday party. 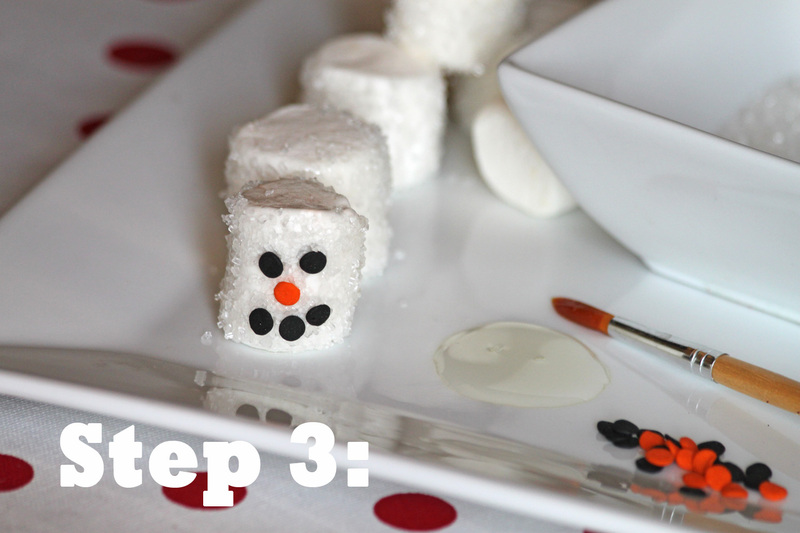 With little ones, you could even have the pieces of the snowman made first and then let them put them together and add the hat and arms. I hope you enjoyed today's tutorial -- make sure to share it with all of your friends!! These are so stinkin cute!! Love them. Thanks for the tutorial. Thank you!!! Loving these and can't wait to do them for my daughters party next weekend! Thanks for sharing these instructions... I LOVE THEM! These are the cutest things I've ever seen!!! Those are awesome. I love the sparkle effect on the body! These are very cute! I was wondering if you have tried any other product for sticking the sugar or eyes on with besides Karo Syrup? Maybe thinned out icing? Saw this on Tidy Friday! Love your blog! These look yummy!! Great to do one the days the kids have a snow day. Wonder if dipping them in white chocolate would work. I'm featuring them on my blog. Totally cute! I love the sugar on the marshmallows! What a great extra. Those are the cutest things ever!!! Thanks for the tutorial. New follower. 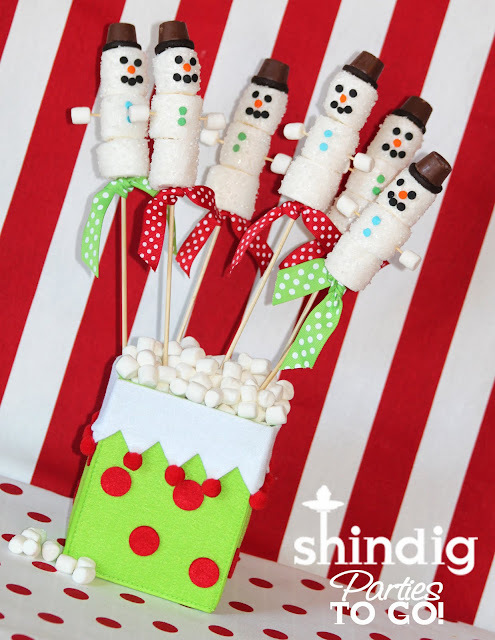 We are using this idea for our 5th grade school Christmas party! :) THANK YOU! SUPER cute! I love the hats! I made similar snowmen, but I dipped mine in melted candy coating and used mini m&ms to decorate them! What do you do with the side of the oreo that still has cream on it? Making these was on my holiday to-do list! you should add them to my Cookie & Sweet Blog Hop. I teach Sunday school! The kids would love these little treats! This are adorable! You always have the most original ideas and we are so grateful that you take the time to share the tutorial so we can make them at home! We are hosting a Home for the Holidays link party and we would be honored for you to join us with this fabulous project! Thanks! I love all your party's ideas! This giveaway would be perfect for my baby's boy first birthday 5 days before christmas I would love to win! These are TOO cute for words! Could you please post these in my linky too? 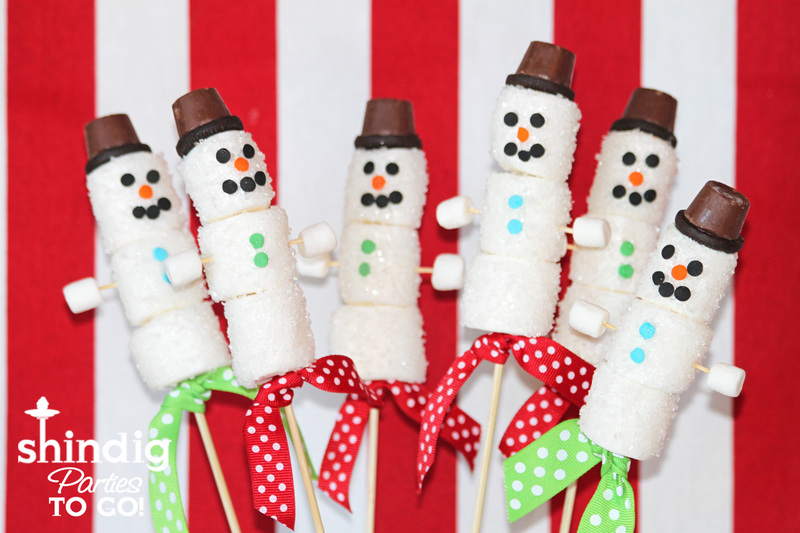 I'd love to share these adorable snowmen with my readers as well! These are so sweet! Kids of any age will love 'em!! These are too cute! I'll have to make them for my grandchildren. Those are just so fun, I love them. I just love these little guys and look forward to making them! Oh my - those are so cute! we made these yesterday but could only find silver sugar and gel icing for the eyes and they turned out so cute.....thanks for posting i love making cute food!!! These are adorable. I linked to you from Made By You Mondays. I can't wait to try these. Thanks!